Stand reduction and weather effects require cultivation and changes to inputs. Ethan Zoerb and his dad, Dale, are trying some triple-row soybeans this year, not that it was in their plan. They are cutting back on inputs on another field, definitely not part of a plan designed to maximize yields. Neither was cultivating out volunteer corn in second-year corn. Adjusting to problems, adapting the plan and using the tools that work is what farming is all about. "It didn't seem to matter what brand soybeans we planted, the seed coat was fragile, with more cracks and damage than usual and low germination, a lot of it 80 percent or less," says Zoerb. "We replanted one twin-row field with a single row planter at a lower rate right in the middle of the twins and still had only a 140,000 final stand." Cutting back on inputs made sense on a corn field hit by green snap in early June. "With a 40 percent reduction in stand in some areas and a field average reduction of 15 percent, there was no reason to try to push yield," says Zoerb. Spring planting went fairly smooth for the Zoerbs, starting on April 27, and finishing May 17. Lack of complications left time for side-by-side comparisons of twin-row and 30-inch single row soybeans using different varieties and populations. They then repeated the side-by-sides in corn. The plan for summer weed and pest control left room for some adjustment, but not when it came to residuals in post-emergence applications. "We use a lot of Zidua and Outlook," says Zoerb. "We like what they've been doing for us." Even these products couldn't handle volunteer corn left in fields from a late season windstorm, which led to Zoerb cultivating corn for the first time in his life. "We lost 50 to 75 bushels in some fields between yields taken before the winds and after," says Zoerb. "We knew we would have problems this year, as some fields had to go back into corn to maintain our rotation." If a late post-herbicide is needed, it will likely include an insecticide and very likely a fungicide. 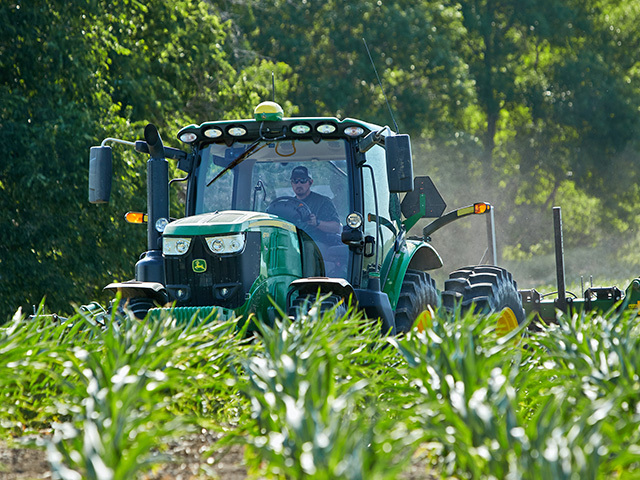 Depending on insect pressure, an insecticide may also piggyback with a later fungicide application. "We run a pretty strong fungicide program, with most fields getting at least two passes and some getting three," says Zoerb. PriaxorÂ® is a given on soybeans and Headline AmpÂ® on corn. Zoerb is comfortable with the 2018 crop year and where the farm is in terms of return on investment of technologies and practices they've adopted. While they are still evaluating twin-row planting and testing products, other practices like strip-till have proven their value with the kind of dependability the Zoerbs look for in all products and practices. "Especially in dry years like 2012, you can see the effect of conditioning the soil on yield," he says. "Roots used to go down a foot and go sideways. Now they go as deep as they need. We are more efficient with the water we put on, and even a hard rain doesn't run off. It helped put me through college and continues to pay off today."